After years of bringing cars to and from the Greenwich Concours, Intercity Lines is now officially the exclusive transporter of The Greenwich Concours and is dedicated to meeting all of the Concours’ transport needs. Intercity has been bringing Concours cars and classic cars to the event since the beginning, and they have always been a regular part of the Greenwich Concours landscape. Behind the gleaming lines of Concours cars have been gleaming lines of Intercity Lines auto transporters, always in white with blue trim and enough chrome to blind you. And most important, always immaculately clean, inside and out. Intercity Lines has proudly been offering first-rate service in the enclosed automobile transport business since 1980. It is a family owned business, started by David and Linda Wilson. They take pride in providing door-to-door service with the most experienced drivers and the highest quality fleet of trucks which feature state of the art, fifty-three foot, fully enclosed air ride trailers. Intercity specializes in the transportation of automobiles with sentimental and or fiscal value. We are small enough to know your needs and who you are while being big enough to be where you need them. 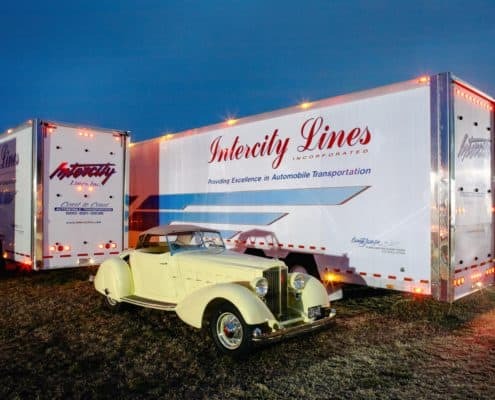 Intercity represents the pinnacle of pampering, safety, and attention to detail in coast-to-coast automotive shipping. If a car needs to be moved a significant distance the safest way possible, Intercity Lines is the insider’s go-to company. One of this year’s Honorary Judges, Wayne Carini, owner of F40 Motorsports and host of “Chasing Classic Cars,” has trusted Intercity Lines more than anyone else with his cars for nearly 30 years. Jay Leno, Don Williams of the Blackhawk Collection, and numerous others of the car world’s most renowned collectors, restorers, and traders trust Intercity Lines with any of their vehicles. The Wilsons still run Intercity Lines today, with help from their son Dean and a strong support team behind them. Ensuring that their standard of customer service and white glove automobile transport is met with each and every car that is transported. 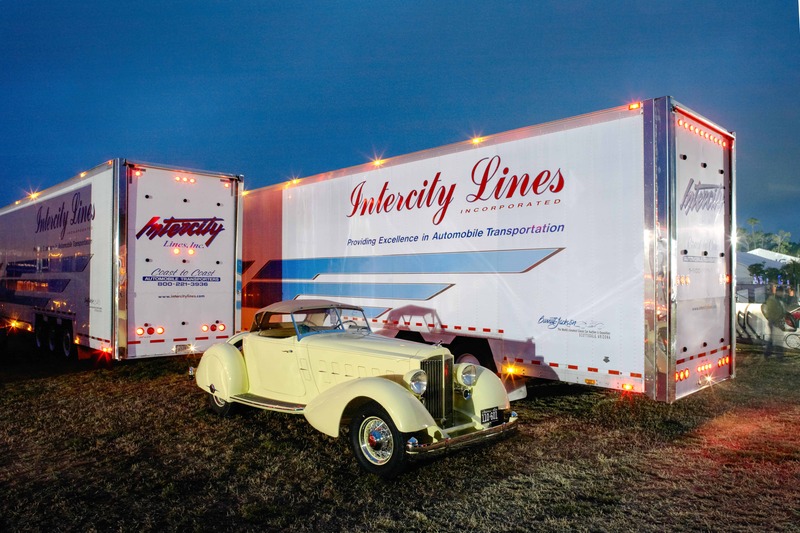 Whether you just purchased your dream car and need to get it home or you own a dealership that needs a reliable way to transport vehicles to your clients, Intercity Lines can provide a specialized service able to meet your enclosed auto transport needs at a fair price. Intercity Lines will have representatives on site throughout the show and will have trucks close by ready to meet your transport needs, so if you’re one of the lucky ones who gets to bring a new car home from the Bonhams Auction, Intercity Lines will ensure it makes its way there safely. Trust the Best! Trust Intercity Lines. You can reach them for all of your auto transport needs at 1-800-221-3936 or if it’s the weekend of the event on their event & auction phone: 413-563-8545.